In today’s business world, where changes are unavoidable, every organization sooner or later has encountered the biggest challenge – uncertainty of the global business market. The fear of uncertainty coupled with the lack of understanding of the current situation leads to absence of proper solutions that bring preferable outcomes, and hinders the projects flow. Thus, organizations try to cover a wider spectrum of their activities than they are capable of, in order to ensure their productivity, which increases their demands that overburden their business processes. Kanban methodology takes these challenges into account and offers to its users two basic concepts: to limit demands and increase the capabilities. One of the pioneers in implementing Kanban methodology is David Anderson, who has a strong view that increasing demands overburden the company, thus slowing the processes, delaying the outcome and decreasing production. His idea is to limit the risks and improve organization’s capabilities. David J. Anderson gained a degree in Electronic and Computer Science from the University of Strathclyde, Glasgow, U.K. He began his career in the gaming industry in the 1980’s, thus entering into the business of high technology. Through the years, he has worked as a leader of different software teams in Corbis, Motorola, Sprint and Microsoft. As a certified and experienced Kanban trainer, Anderson became CEO of Lean-Kanban University and founded his own company, an international training and consulting enterprise named David J Anderson & Associates. He is an acclaimed author, coach, speaker and consultant. His blog about agile management is highly visited and represents the great resource for everyone who wants to be up to date with the latest trends in the area of Kanban project management. David Anderson founded David J Anderson & Associates in October, 2008. He has incorporated his skills and expertise in a various training programs in order to help companies to meet the challenges and find the way to overcome them. Based on Kanban methodology, his training courses and consulting services offer valuable tools and techniques not only to companies that engage in maintenance and IT operations, but also for the companies from the wide area of activities, and to large companies as well. In using Kanban method, Anderson emphasizes the values, flow, continuous improvement, respect for people and holistic process approach. His company provides consulting services, customized to a particular situation of the given organization, its specificity and needs. Anderson’s consulting services help organizations to balance better their demands, develop their projects gradually and improve the predictability of the time for project outcomes, thereby maintaining the flexibility, simplicity of the priorities and customer satisfaction on the greater level. David Anderson has more than 30 years’ experience in IT industry and has been considered as a father of the Kanban approach in the software industry. He established himself as the authority figure for managing software projects and leading software teams successfully, Anderson has set up his certified training programs at Lean-Kanban University. Lean-Kanban University offers two types of accreditation through the Accredited Kanban Trainer program and through the Kanban Coaching Professional program. Both programs are designed for the high quality professionals in Kanban methodology. For the ones who needs more support and follow-up on their way to becoming Kanban trainer, LKU offers Professional Development program. David Anderson is an author of three books on Kanban methodology in project management, and they are: KANBAN: Successful Evolutionary Change for Your Technology Business, Lessons in Agile Management: On the Road to Kanban, and Agile Management for Software Engineering: Applying the Theory of Constraints for Business Results. He is also the co-author of few other books on Kanban method and a very prominent article writer and blogger. His Agile Management Blog became very popular in the project management field. Anderson is a charming speaker and is well-known for his valuable and inspiring workshops. 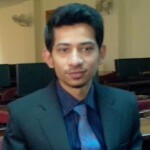 Moiz is a member of the expert writer team for Project-Management.com. He has written more than 100 articles including project management software reviews, books reviews, training site reviews, and general articles related to the project management industry on this site.